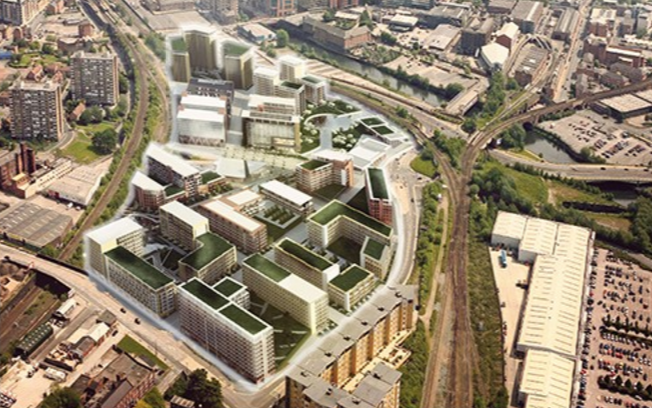 Chinese contractor Beijing Construction and Engineering Group has started preparatory work on the first phase of the £700m Middlewood Locks development in Salford. The massive residential and commercial neighbourhood is the second scheme to see the Chinese contractor start work after entering the UK market through an investment in Manchester’s £800m Airport City. Beijing Construction has been actively pursuing further investment opportunities since last August when it announced it would be investing in Gary Neville’s and Ryan Giggs’ St Michael’s development also in Manchester. 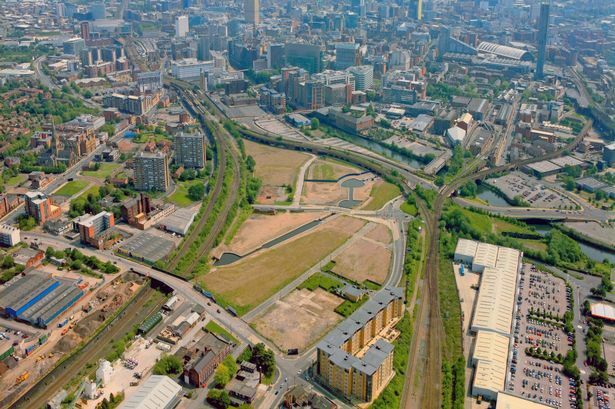 The 24-acre Middlewood Locks scheme, located at the western gateway to Manchester’s central business district, is being developed by a three-way joint venture involving Scarborough Group International, Chinese property developer Hualing Group and Metro Holding, a Singapore-listed property development and investment group. The first phases, which were granted detailed planning consent by Salford City Council in December last year, will see construction of 571 homes and shops, restaurants and extensive new public realm. With a phased building programme the first residents are expected to start moving in early 2018. Eleven main building plots, which will include a 24-storey apartment block, gym,restaurants, and shops. The full £700m Middlewood Locks scheme will deliver a new mixed-use neighbourhood, which, in total, will provide around 2,000 new homes and more than 750,000 sq ft of commercial development space, including offices, hotel, shops, restaurants, a convenience store and gym. 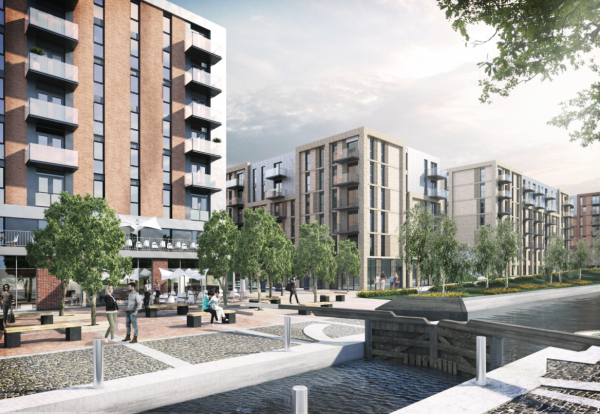 Designed by architect, WCEC Group, it will be built around three large basins of the Manchester, Bolton and Bury Canal in Salford and is just a short walk from the central business district and retail amenities of Manchester.